First published in Songlines Magazine issue 146, April 2019. There is a crisis in East Turkestan, also known as Xinjiang, an autonomous region of northwest China. For many years, Uyghur people of the region have spoken of the persecution taking place at the hands of the Chinese government; it is a persecution that has increased dramatically in the last 18 months. Culturally and ethnically Turkic, majority Muslim and with their own language (using the Arabic script), Uyghur life is culturally aligned with Central Asia and markedly different to the Chinese mainstream. Under the guise of combatting Islamic extremism, the Uyghur way of life has come under systemic oppression and repression enforced by heavy surveillance and restrictions on movement, expression and association. Over one million people – mostly Uyghurs, but also Kazakhs, Mongols and other minority ethnic groups – are thought to have been imprisoned in euphemistically-named ‘re-education camps.’ These moves have been seen by the international community as a stepping-up of the long-brewing cultural purge of the Uyghur from the Han-majority Chinese government. As is often the case in these sorts of situations, it is culture bearers that have incurred a particular wrath, with many prominent writers, academics, musicians, comedians, actors, poets and sportspeople confirmed as detained; some simply disappeared. 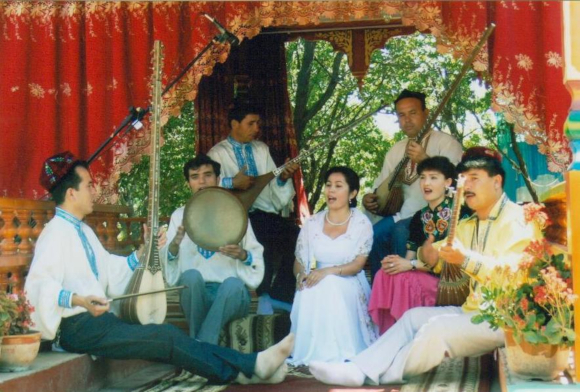 Popular figures in Uyghur music such as pop stars Ablajan Awut Ayup and Zahirshah Ablimit and the folk and classical dutar (long-necked lute) player Abdurehim Heyit have all been detained within the past 18 months. As of writing, reports are just coming out that Heyit has been beaten to death in custody, although this is refuted by the Chinese government. The plight of the Uyghur people and the attempted eradication of their culture by the Chinese authorities is cause for international concern; the stories of internationally-recognised figures such as Tursun help to spread the word far and wide. The world music community surely has their role to play. Photo: Ayub Ogada, by Andrew Catlin. 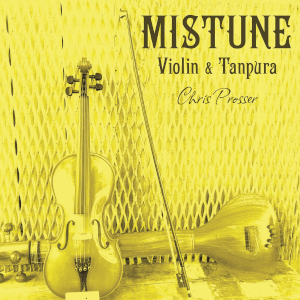 In Mistune, Chris Prosser continues to explore his fascination with alternate tunings on the violin, this time paired with a five-string Indian tambura drone, played by Susan Thomson. 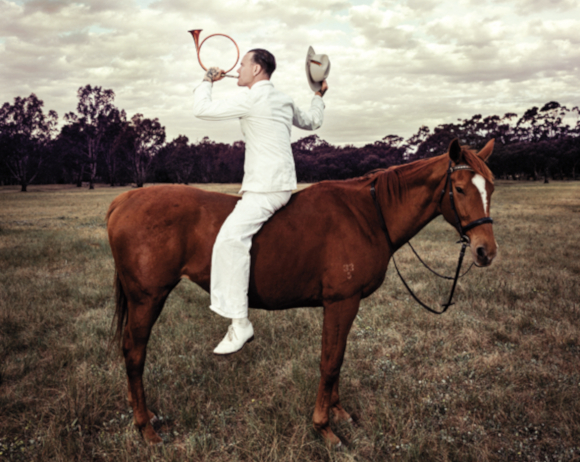 The 15 semi-improvised pieces featured on the album all utilise a different tuning, which allows Prosser to ruminate on the sonorities and dissonances offered by each. With the focus on sound and atmosphere, it is hard to describe a style that the music inhabits. Some of the ornaments and embellishments are similar to those in Karnatic music, and Prosser’s playing technique is obviously heavily informed by Western classical, but, unlikely as it sounds, it most often put me in mind of Scandinavian fiddle playing. There is a spacious, contemplative and sometimes sad ambience here that often permeates the Nordic styles. In fact, the Norwegian Hardanger fiddle, with its many sympathetic strings, would have suited this project perfectly. It’s an interesting album to listen to. It can take a bit of time to acclimatise to the artist’s vision, but it is compelling, even if the experiments don’t perfectly resound. Mistune feels like a real labour of love, intended primarily for Prosser's own ears. But maybe they can tingle yours too. Who really knows what is next in store for C.W. Stoneking? He does, maybe, although I wouldn’t bank on it. There was a six-year gap between his second and third albums. It’s already been four years since then, and he says the ideas for the next one are just about starting to emerge from the ether. Band or solo? Electric or acoustic? Old-time blues or some other star in that constellation…or Stoneking x Kanye? No idea. All that can really be certain is that it won’t be what you’re expecting. First published in Songlines Magazine issue 144, January/February 2019. Jazz. Jazz? Jazz! Jazz. Well, except, not really. Barely any jazz at all, actually. Funk and soul definitely, and more besides, but jazz…not so much. 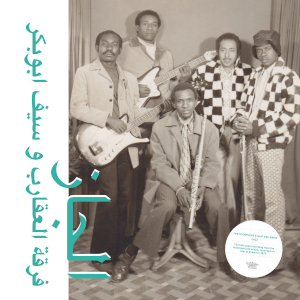 This record by Sudanese band the Scorpions with singer Saif Abu Bakr was originally recorded in 1980 in Kuwait. It’s since passed into a degree of legend among record collectors, with copies going for up to $1000 on eBay. Now Habibi Funk has reissued it for those of us without such expansive purses. The album starts with a couple of instrumentals, but it really gets going when Abu Bakr joins in. His voice is full of personality and gives a good contrast to the tightness of the band’s groove. But yes, for all the title’s talk of jazz, stylistically there’s much more funk than swing, and it even drifts into Motown territory on occasion. There’s not that much to mark the music as Sudanese, either. Apart from the vocals and a sometimes pentatonic feel, the record could have been made across the Atlantic. In fact, the track ‘Bride of Africa’ wouldn’t have sounded out-of-place in 70s Kinshasa; it’s a lovely take on rumba Lingala. In the end, this album probably isn’t worth $1000. But it’s a goodn nonetheless. John Falsetto and Mohamed Sarrar met as fellow actors in the award-winning play The Jungle. The play tells the stories and journeys of the residents of the Calais refugee camp, and Sounds of Refuge is no different. The album evolved from informal dressing room jams, but it soon took on a life of its own that took it all the way to Abbey Road Studios. 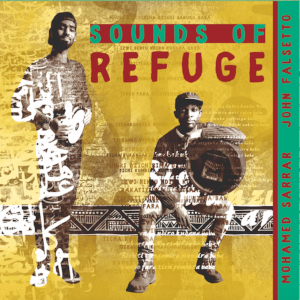 Falsetto and Sarrar are both refugees themselves, from Zimbabwe and Sudan respectively, and Sarrar lived for a time in the Calais Jungle: there is no doubt that these songs come from the heart. Falsetto’s mbira lays the foundation of the album, building layers of bright and clear tones for his and Sarrar’s vocals to lie upon. The sound is rounded off by Sarrar’s djembe and darbuka drums, piano from Duncan Webb and occasional spoken word from Syrian actor Ammar Haj Ahmed. The result is strongest when the Zimbabwean and Arabic styles come together, especially with Sarrar’s singing, but that doesn’t happen often enough. Instead, most of the album tends towards a very gentle, middle-of-the-road feel, with little to surprise or stand out. The project represented here is definitely interesting and worthy of attention, but the music is lacking in adventure. Eric Bibb knows what he’s doing by now. He’s released about 40 albums, give or take, and netted a bunch of awards in the process. 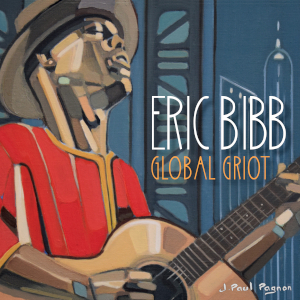 Bibb uses his music to examine his own place in the world, and Global Griot sees him continue on that journey. The album is described as Bibb’s ‘most collaborative project yet,’ which rings true: it’s filled with guests from across North America, the Caribbean, West Africa and Europe, and it was recorded in seven different countries. 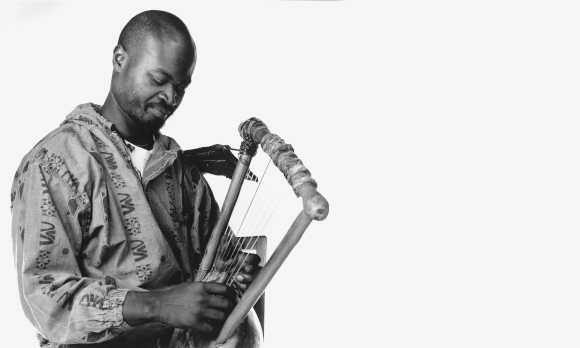 There is a particular focus on the African, and it is the sound of Solo Cissokho’s kora that stands out across the album, the nylon strings rippling across the lilting blues in a completely natural way. With his signature style of chilled-out, cheerful and slightly cheesy blues, this is essentially Eric Bibb doing what he does best, and it yields some lovely moments, such as the tracks ‘New Friends’ and ‘Mole in the Ground,’ featuring gospel singer Linda Tillery and reggae legend Ken Boothe, respectively. The album may not be as ground-breaking as it promises, and the collaborations don’t result in anything particularly new, but as a world-facing blues album, it still hits the mark.